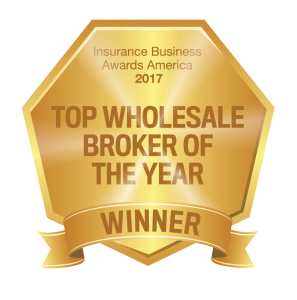 American Risk Management Resources Network (ARMR) is recognizing the director of underwriting at ARMR Net – MGA, a managing general agent within the ARMR network, for being named Wholesale Broker of the Year at the inaugural Insurance Business America Awards ceremony. Jeff Cunningham was one of six finalists, coming from all disciplines in insurance. He received the award at a ceremony November 29 at the Aon Grand Ballroom at Navy Pier in Chicago. More than 600 insurance professionals attended the ceremony. Over 450 insurance leaders and professionals gathered at the Navy Pier Chicago on November 29 as a host of winners were crowned at the very first Insurance Business America Awards. Awards in 22 categories were handed out, speeches were given, and a lot of champagne and dancing was served! Insurance Business is proud to acknowledge the stellar achievements of those in the insurance industry and give the recognition so richly deserved. For more information on the Insurance Business Awards, visit insurancebusinessawards.com.